WALK INTO YOUR OWN RESORT IN THE MIDDLE OF HORSE COUNTRY, TASTEFULLY AND ARTFULLY DECORATED BY WORLDWIDE TRAVELLER INTERIOR DECORATOR! THIS FIVE BEDROOM FOUR BATH WILL CARRY YOU INTO AN EXOTIC DREAM ! ENJOY THE PEACE AND QUIET OF A DEAD END, CORNER LOT HOUSE WITH NEIGHBORS ON ONLY ONE SIDE ! BEAUTIFUL POOL , BACKYARD AND LANDSCAPE THAT LEAVES EVERY VISITOR BREATHLESS! SCHOOLS! NEARBY HIGHWAY MAKE THIS RESIDENCE A COMFORTABLE AND UNIQUE PLACE TO LIVE! MUST AND MUST BE SEEN !!!! One or the kind property. 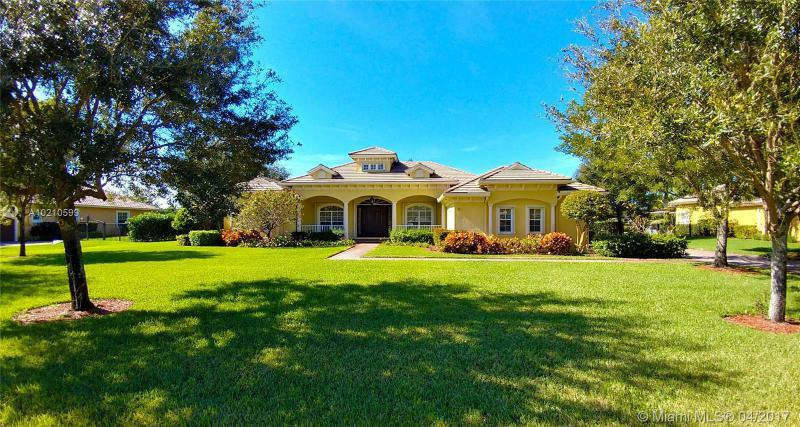 custom home in home with 5 acres in Miami-Dade County. In a quite neighborhood with two houses, Main House is 5 Bedroom, 3 Bath and Guest house build in 2006, 2 bedroom, 2 bath. Features include a pool and basketball court and your own avocado grove which can also keep you taxes very low. (AGRICULTURE EXEMPT) MOTIVATED SELLER. Understated Beauty! This home is in the heart of Pinecrest and sits on one of the few corner lots in the area. It is located within the Pinecrest Elementary and Palmetto school district. It features spacious bedrooms, open floor plan with French doors leading to the screened-in patio, swimming pool, open kitchen with breakfast area, many fruit trees and a 2-car garage. The home is in move-in condition and perfectly positioned on the lot for expansion. Fabulous private tropical paradise fenced in, with an electric gate, surrounded by lush landscaping in gorgeous & safe Victoria Park in Ft Lauderdale, close to shopping centers & the beach. 3 bed/3 baths in main house with an attached bedroom w/private entrance: great for office/ help/ guest. Gorgeous kitchen. Luxurious bathrooms. Very spacious & bright. Heated pool with a waterfall. Outdoor living room. Impact glass. Master bedroom opens to private pergola with bougainvillea?? ?s overlooking the pool. Gated Community in a exclusive area, Close to A+ School, near to US1 and Pinecrest. Occupied.